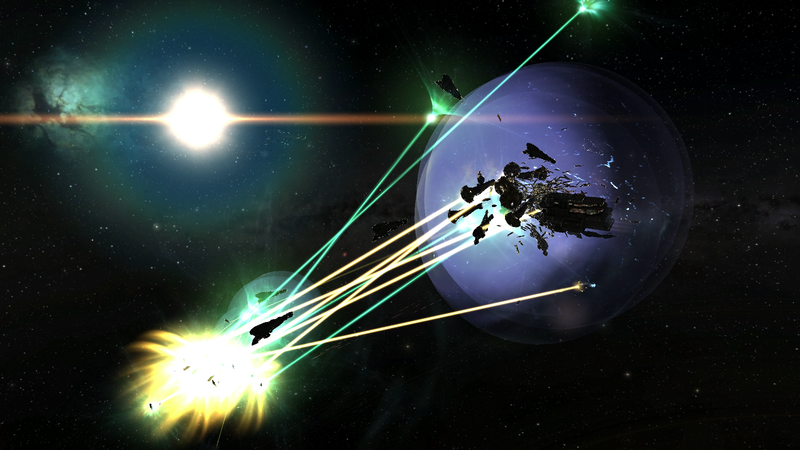 Jester's Trek: Kill of the Week: iScorps! I gotta say... that's incredibly clever. Congrats to the "winners", and congrats to "21 Day Trial" for a really creative EVE player event! Honorable mentions start with this, quite possibly one of the worst Vindicator fits I've ever seen. I'm just going to sit here and hope that he undocked in a hurry after a rushed refit. Because otherwise the only thing that I can think of is utter incompetence. That this was done to a Vindi is a crime. I do love a theme roam, so I really like this Drake kill. Other than the missing rig, I've definitely seen worse Drake fits. And you have to appreciate the fact that he put up a fight. But what can you do when you get swarmed by combat Ventures? This Abaddon ganked in Uedama is just fun. Given the epic troll nature of the fit and one amusing item in the cargo bay, there's every reason to think it was on purpose. Still, the variety and nature of the various things on this fit make it fun to look at. I'm going to hope this person isn't quitting EVE because EVE needs more players with this sense of humor. The loot fairy was in a good mood this week! Here's a couple of examples, this Ibis and this Ansharr. The latter is a particularly dumb loss. The second Wyvern killed was this one, with Snuff Box supplying the bulk of the DPS in Black Rise. The big story on this one is that Snuff Box apparently offered a 20 billion ISK ransom to let the Wyvern go. The pilot involved paid two billion, then apparently said "done", was caught out not paying the full agreed-upon ransom, sent some more ISK, but it still wasn't enough... and so the hammer came down. I presume Snuff Box kept the money in addition to the kill. The details are in the killboard comments of this one. Headline: More Ishukone Scorpion drama, 25 homeless killed during festival activities. I see the "long-term player must know what he's doing" meme far too often. I've been playing for just over 2 years, and I've flown with people who've played far longer, and yet there are still gaps (with some chasms) in my knowledge (and theirs, for that matter). Age of the toon has little to do with knowledge possessed by the player. I am so stealing that second picture. Do you have a source for it? I like to attribute the source to pictures I use. If only I had gotten into the KW-I6T fight earlier. It was a perfect opportunity for taking screen shots. The system was lagged to hell and modules were not responding, but chat and camera controls were working just fine. I was just stuck on grid at the gate, not at the fight itself. I'll see if I can dig up the source. It definitely came from one of the Skype convos that I'm always involved in. 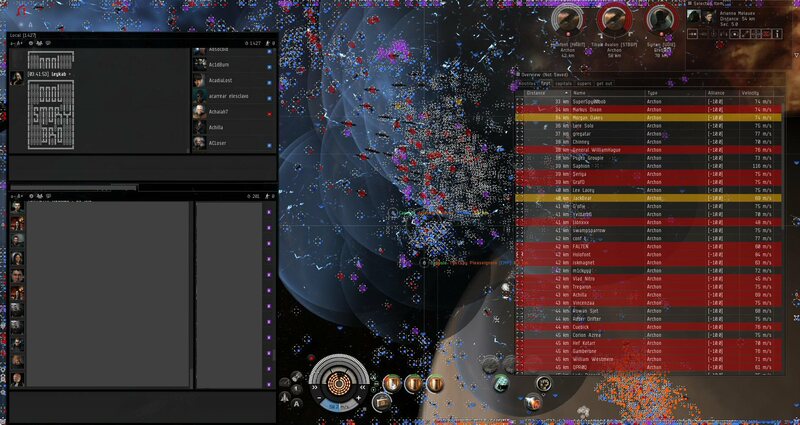 Per CCP Fozzie: "lolkipp is Elektrea in game btw, if you're quoting sources. I'm not sure if he's the original source of the image but he was the first to post it both on reddit and on kugu iirc"
"Honorable mentions start with this, quite possibly one of the worst Vindicator fits I've ever seen. I'm just going to sit here and hope that he undocked in a hurry after a rushed refit. Because otherwise the only thing that I can think of is utter incompetence. That this was done to a Vindi is a crime." I'll try and get one of my alliance mates that was in on that kill (damn RL, why you not like me!) to provide a little background.